Kahuna massage is a therapeutic massage technique based on the teachings and practices of the ancient Hawaiian Kahunas. In the language of native Hawaiians, “huna” means “secret knowledge” and a master practitioner of any of the huna arts is known as a “kahuna.” Traditionally, massage (“lomilomi”) was practiced in the Hawaiian Islands both for relaxation and as one of the Kahuna healing arts. Kahuna massage in the West, too, is said to be extremely relaxing and therapeutic. Kahuna massage technique is very vigorous and rhythmic. The practitioner uses his or her fingers, palms, wrists and even their forearms as they move rhythmically around the table. Those who have experienced lomilomi often say these rhythmic motions alone have a deeply relaxing effect quite apart from the muscle relaxation that comes with a conventional massage. In Kahuna massage, the intention and focus of the practitioner is of paramount importance. They are trained to be totally focused on their client with an attitude of love and compassion. This is the essence of the “aloha” spirit that is sacred to the people of Hawaii. It is often said that Kahuna massage is a holistic natural therapy designed to heal the body, mind and spirit. A practitioner may start a session by encouraging you to discuss the physical and emotional reasons for wanting to have a treatment. 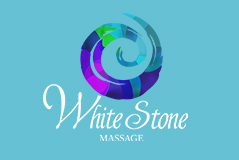 This helps them to attune themselves to your needs before the massage begins. The rhythmic “hula” style movements of the massage practitioner as they “dance” around the table, too, are meant to create harmony between the practitioner and the client. Kahuna massage is said to stimulate the lymphatic, circulatory, respiratory and digestive systems, so may be of therapeutic benefit for a variety of disorders, including irritable bowel syndrome, asthma and headaches amongst others. It is said to be particularly beneficial for a number of emotional problems, including: Stress, Depression, Grief and Exhaustion. While it is not necessary to have an education in the traditions and beliefs of the ancient Hawaiians in order to benefit from Kahuna massage, an understanding of some of their core beliefs may help you appreciate it better. In many ways, the philosophy of the Kahunas is very similar to the philosophies of ancient cultures throughout the world. The word “huna”, for example, is an amalgam of two words: ‘hu’ is a word for the male energy and ‘na’ is the female energy. A Kahuna massage is designed to bring these two internal energies into balance, just as Traditional Chinese Medicine is designed to balance the yin and yang (female and male) energies. If you are looking for a massage based on ancient spiritual traditions, try Kahuna massage. It may change your life. If not, if the testimonies of those who have experienced are anything to go on, you’ll at least come away feeling relaxed, refreshed and invigorated.